What hooked me to this topic was a rather worrying survey. It was conducted by ASSOCHAM (Associated Chamber of Commerce and Industry) and published ahead of International Women’s Day 2014 stating that daily “multi-tasking” is taking a toll on women’s health. So basically the very fact that women as able multi-taskers is working against them! And the fact that family and partners conspire to keep women working after a hard day’s work is literally killing them! The sample included 2,800 corporate women employees from 120 companies across 11 broad sectors from Ahmedabad, Bangalore, Chennai, Delhi, Hyderabad, Jaipur, Kolkata, Lucknow, Mumbai, and Pune. How sad is that ... and in the context of the above statistics how worrying? The concept of leisure is being eradicated from the vocabulary of the working mother especially. “Free time” is hoarded in between endless chores and car-pools and oftentimes eaten away by so-called insignificant items on the ever-present mental to-do list and the “always connected” lifestyle aided and abetted by the “smart” phone! 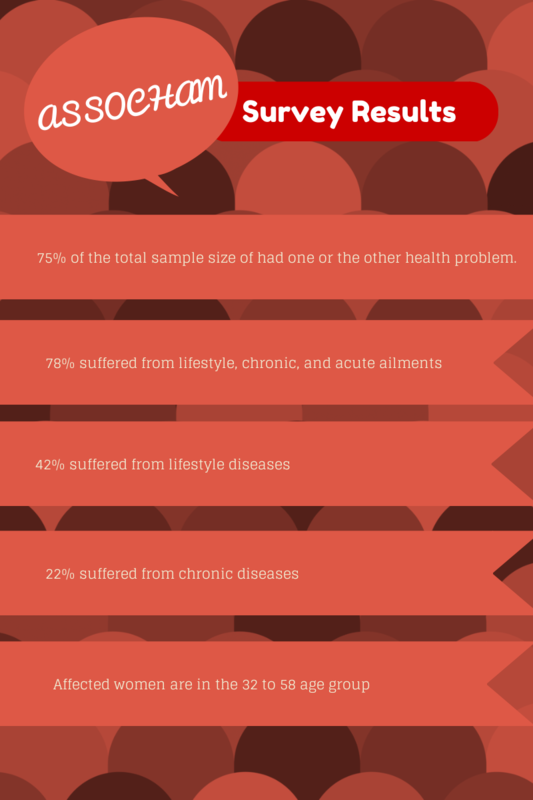 Work-Life balance seems to be compromising the health of women! The Indian Constitution charges every state with "raising the level of nutrition and the standard of living of its people and the improvement of public health as among its primary duties." Despite being a destination for Health Tourism access to quality healthcare is a major issue especially rural India. I started researching health stats taking my college research on India’s health security as the starting point. 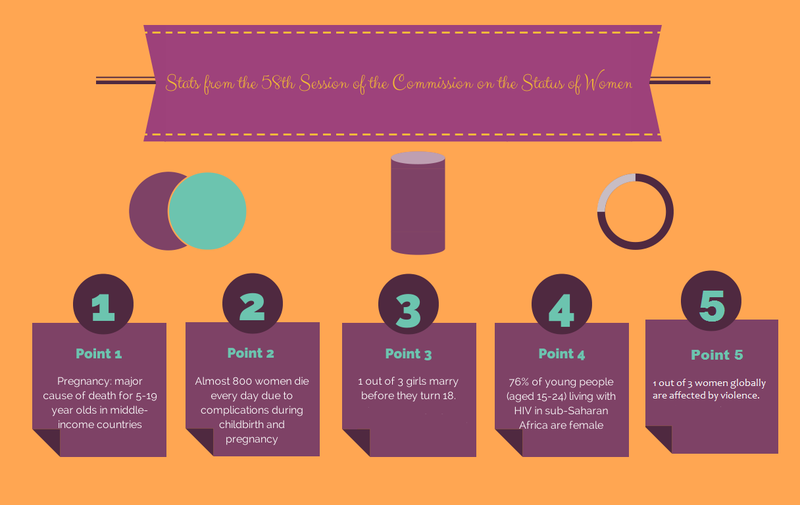 What’s worrying is that nearly a decade down the line health statistics hasn’t improved significantly and in many cases especially with regard to women the situation has worsened. Being polio-free remains our sole significant achievement way back in 2005 and today in 2014! Many women and girls across the globe remain without access to basic sanitation, which in turn affects their dignity, health, and safety. According to a 2008 estimate more than 122 million Indian households have no toilets, and 33% lack access to latrines – over 50% of the population (638 million) defecate in the open. Consider these in the context of the recent headline “680 million Indian lack the means to meet their essential needs.” Sustainable access to water and sanitation is crucial to enable girls and women to participate in education and employment. E.g., a Tanzanian study shows, reducing the distance to a water source from 30 to 15 minutes increased girl’s school attendance by 12%. Domestic violence – acts of physical, psychological, and sexual violence against women – is currently viewed as a hidden epidemic by the WHO. Economies of nations where domestic violence is prevalent tend to have lower female labour participation rate, in addition to higher medical expenses, and higher rates of disability. On a positive note, a 2005 study found that the incidence of domestic violence against women dropped dramatically with women's ownership of immovable property. Gender inequity remains the iniquity in the field of health security as well. E.g., women patients with congenital heart disease in India were less likely to be operated on than men because families felt that the scarring from surgery would make the women less marriageable; families failed to seek medical treatment for their daughters because of the stigma associated with negative medical histories; a study in 2011 found out of 100 boys and girls with congenital heart disease, 70 boys would have an operation while only 22 girls will receive similar treatment. Until access to adequate healthcare and nutrition and gender inequity are addressed health security will continue to be elusive. “Improving the health outcomes can contribute to economic gain through the creation of quality human capital and increased levels of savings and investment.” Proving once and for all Health is Wealth and a nation cannot be secure without being healthy. 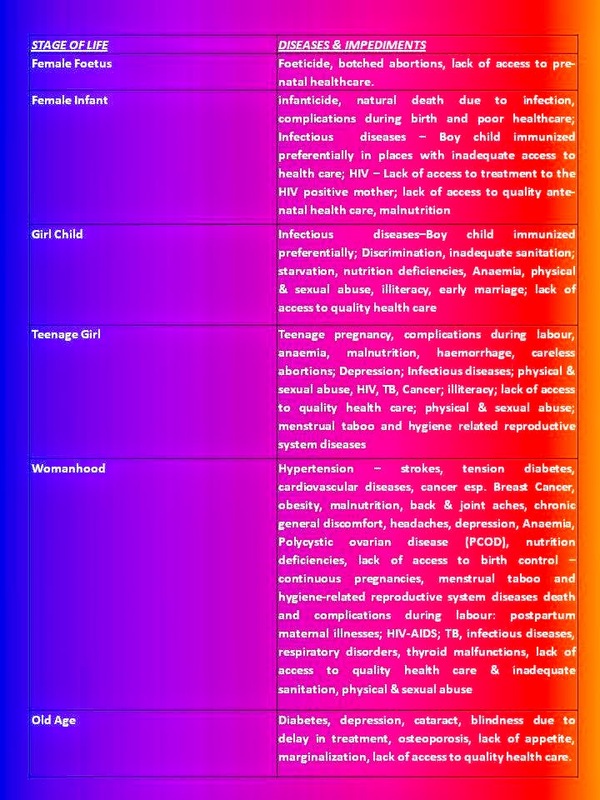 Table: Impediments to the well-being of the female – with a South Asian and Indian focus. Raakhee Suryaprakash: “India’s Questionable Health: Health Security Situation in a Developing Nation--A Study of the Indian situation,” for the National Seminar COMPREHENSIVE SECURITY ISSUES AND CHALLENGES: AN INDIAN PERSPECTIVE, Department of International Studies, Stella Maris College, 2005.